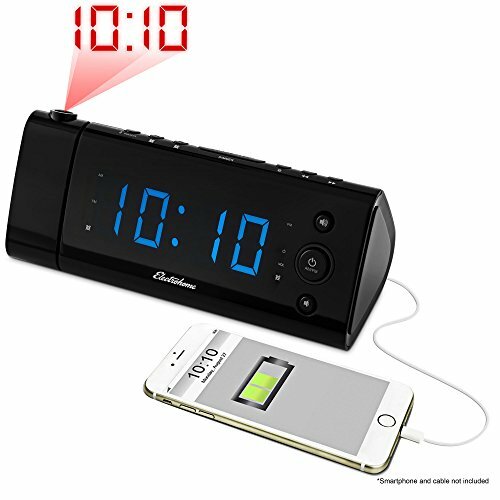 A dual alarm clock with a large easy to read display and has a handy built-in USB charger. Large high-contrast LED display. FM radio with digital preset memory. Built-in USB charging port for your smartphone, iPod, or other device (DC 5V, 1A). Two independent alarm timers. 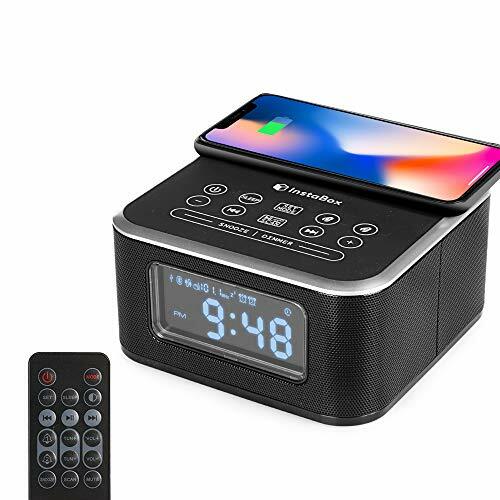 Snooze, sleep, and wake to radio or buzzer functions. Accessories included: AC power adapter. 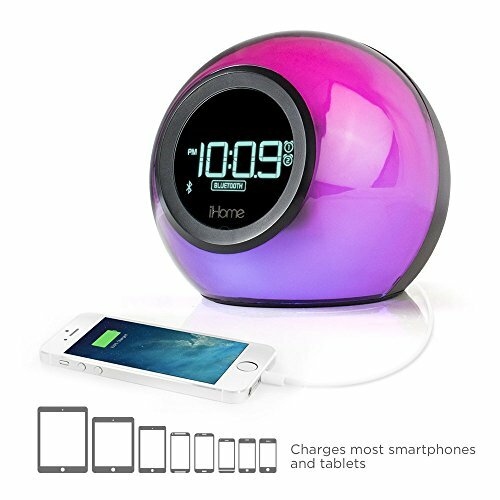 Power: AC 110-240V adapter, USB charge output (5V, 1A), 2 x AAA batteries (clock backup, not included). Specifications: Display Type LED. Speaker Type Mono. Media Support. Radio Tuner FM with digital preset tuning. 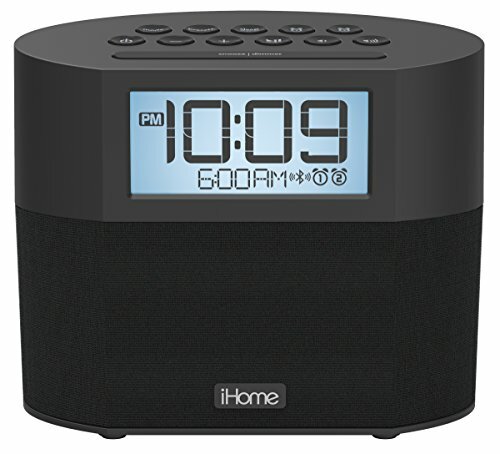 Alarm Clock Dual timer. Input USB (CHARGE ONLY). 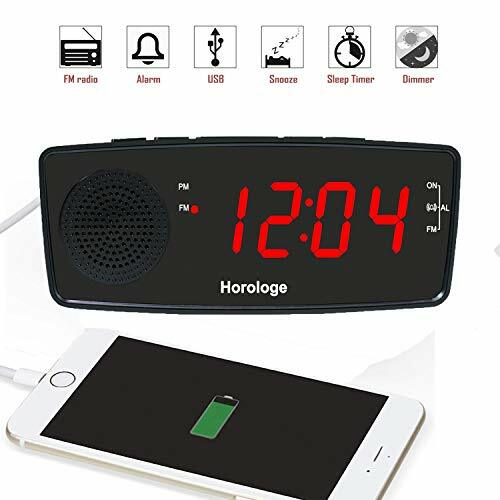 Power Source AC 110-240V adapter, USB charge output (5V, 1A), 2 x AAA batteries (clock backup, not included). Accessories Included AC power adapter. 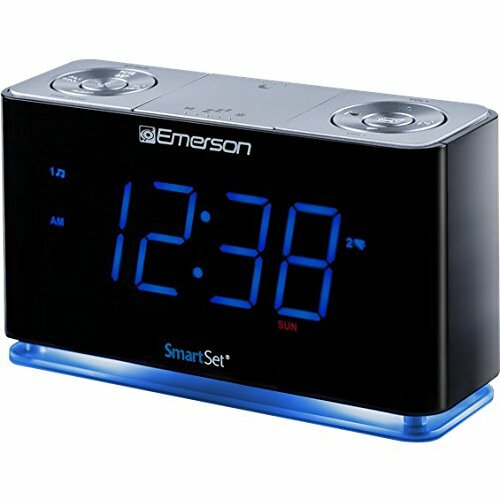 UL/ETL Certification Yes.Features:Large high-contrast LED displayFM radio with digital preset memoryBuilt-in USB charging port for your smartphone, iPod, or other device (DC 5V, 1A)Two independent alarm timersSnooze, sleep, and wake to radio or buzzer functionsProduct Details:Product Dimensions: 6 x 2.5 x 3 inchesItem Weight: 5 ouncesShipping Weight: 12 ouncesManufacturer: NAXA ElectronicsDomestic Shipping: Item can be shipped within U.S.International Shipping: This item is not eligible for international shipping. Learn MoreItem model number: NRC-165Batteries: 2 AAA batteries required.